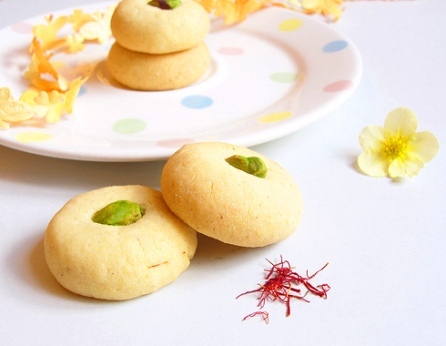 Here’s a good-looking recipe for spicy Indian bikkies, called Nankhatai. I haven’t tried them yet, but anything from Sanjana’s food website always turns out well. I am intrigued at the addtion of chickpea flour in the mixture. Of course chickpea flour is the mainstay of laddhus, so why not take advantage of its nuttiness in the baking department.